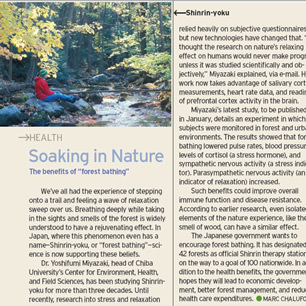 Appalachian Mountain Club magazine (November/December, 2010) released a report about the Forest bathing (Shinlin-yoku) in Japan. 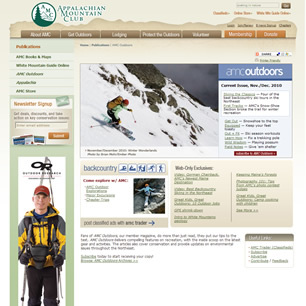 Appalachian Mountain Club magazine (November/December, 2010) released a report about the Forest bathing (Shinlin-yoku) in Japan. Prof. Miyazaki (Chiba University) received an interview from the reporter of the magazine.